From the M5 South, take Junction 31 (just past Exeter) on to the A30, and continue for approximately 80 miles. Take the B3285 at Boxheater Junction and you'll reach Perranporth in approximately 6 miles. AA Route planner is great for helping with mapping your exact route. Train services run regularly to both Newquay and Truro. Thetrainline.com is a useful site for train information and the booking of tickets. From either Newquay or Truro, you have the option of taking a taxi or catching a local bus to Perranporth. The First Kernow site provides up to date bus times for the routes which service Perranporth, Newquay and Truro. Alternatively, if you would prefer to take a taxi, please visit our 'Local Businesses' section for local taxi numbers. 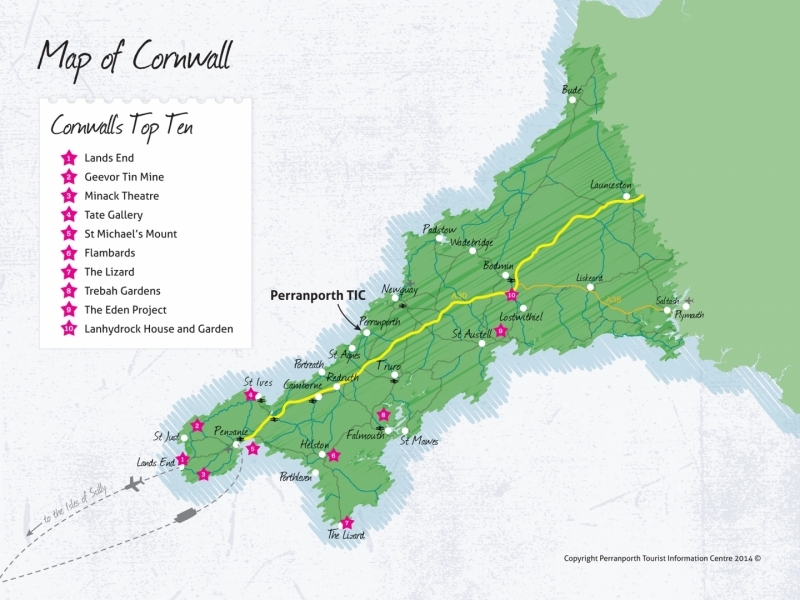 Most coaches drop off at Truro or Newquay. National Express and Megabus run regualar services thoughout the year. Please take a look at the 'arriving by train' section above for information on reaching Perranporth from Truro or Newquay. There are daily flights in and out of Newquay Airport from a number of British and International airports. The Newquay Airport website provides you with up to date information on the routes and airlines available. There is a taxi rank at the airport to provide you with ongoing transport. If you would like help planning your journey using public transport, Traveline is a very useful and informative site. Traveline is also a fantastic site for planning your day out using public transport during your holiday. Please always feel free to call us at Perranporth Tourist Information should you need further help. Details can be found on the 'Contact us' page.